Timespan are working with Friends of Huntley Archives at LMA Foundation (FHALMA) to bring radical Black publishing to the Highlands, in order to reconcile the local history of the Highland Clearances with the colonial framework of Empire, to distance this history from a singular politics of victimhood and to relate it to modern state policy. Scotland suffers from colonial amnesia, which has allowed its popular history to be mythologised as one of subjugation to England. This whitewashing of its imperialist past deliberately neglects Scotland’s heavy involvement in the Caribbean and its role in managing and running the Empire; After Scotland failed at executing the Darien Scheme that sought to establish a ‘Caledonia’ colony in Panama 1698, which led to the 1707 Act of Union with England, Scotland duly welcomed and generated opportunities to exploit the West Indies colonies. The Highland Clearances, a history of violent internal displacement, is intimately linked to Scotland’s colonial footprint, where the victimised displaced travelled to ‘the new world’ to reproduce the violence that was meted out to them under the protection of the British Empire. Scotland’s recasting of itself within this history has become particularly entrenched since the Independence Referendum where party politics has contorted history to cast a progressive and profitable light on Scotland; the Scottish ancestry industry is a culture which primarily serves commerce and tourism and doesn’t confront the truth about the genesis of the Scottish diaspora. Jessica and Eric Huntley moved from Guyana, where they had been active members of the People’s Progressive Party, to London in the late 1950s. They established the radical Black press Bogle-L’Ouverture Publications in 1968, publishing their first title in response to the Jamaican Government banning the Guyanese activist and historian Walter Rodney from re-entry. Rodney was lecturing at the University of the West Indies. The lectures he gave during his tenure were published as the first of many books, The Groundlings with my Brothers (1969). The Huntley’s publishing was forged from and informed by struggle; they were an active part of an internationalist anti-imperialist, militant community who were faithful to the radical Black tradition which challenged racial capitalism. Prescod, C. (2018). No Colour Bar – an act of resistance. In: Busby, M. Mason, B., ed.,No Colour Bar: Black British Art in Action 1960 – 1990. London: Friends of the Huntley Archives at LMA, p 14. Bogle-L’Ouverture published significant titles rooted in scholar-activism across theory, fiction, poetry and children’s literature. They set up the radical Black Bogle L’Ouverture Bookshop in Ealing in 1974, later renamed the Walter Rodney Bookshop in 1980 after his assassination. The Walter Rodney Bookshop was a base of intergenerational grassroots activism for social and racial justice, including organising in the British struggle through the Black Parent Movement, anti-racist organising and resistance at Southall, New Cross and Brixton, campaigns against police violence and deaths in custody and in support of the miners’ strike; they were fierce in support of internationalist and liberation movements across the Caribbean including the Guyanese Working People’s Alliance and the Grenadian New Jewel Movement and through publishing, activities and campaigns contributed to keeping the diaspora and their homelands united in their struggle and resistance. They synthesised the migrant-settler culture of 1960s Britain with the struggle of the streets which became an integrated and overlapping community of artists, reggae, writers, poets, musicians and activists who responded collectively to the urgent crises of the time. Jessica sadly died in 2013. Eric continues to sell the books and carry the flag of radical black publishing. Under Bogle-L’Ouverture Publications he has recently released several new titles including Come Lehwe Reason: A Journey with Walter Rodney (Huntley, E.L, BLP) and African and Indian Identities in Colonial Guyana (Seecharan, C, BLP). 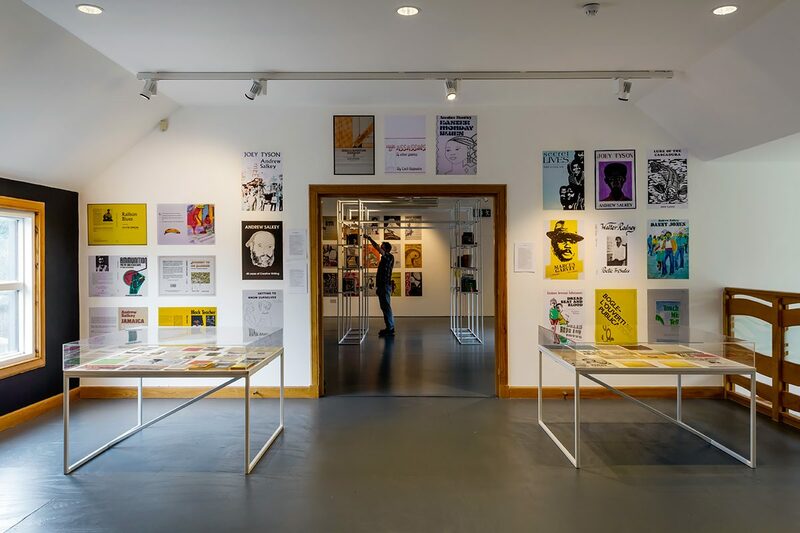 Timespan will recreate the Walter Rodney bookshop as a research and library space which will be activated by a programme of events, alternative curriculums, Caribbean food, screenings and performances, to learn from the histories of resistance to colonialism and to connect to and clarify the present political crises we face. The library will be active throughout the project, and details of borrowing books can be found here. 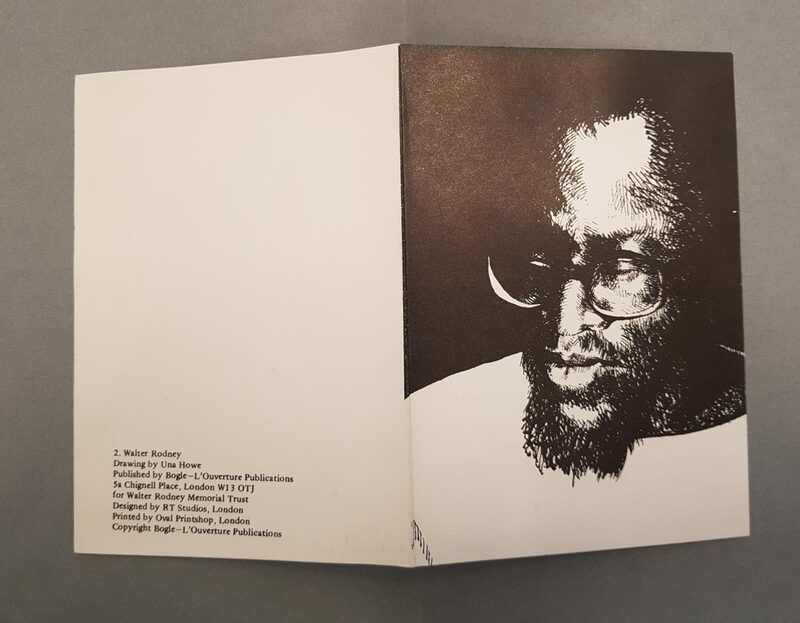 The library will display archive material from the Huntley Archives which tells the history of Bogle L’Ouverture’s radical Black publishing history and the Huntley’s contributions to British struggle and Internationalist movements. The majority of the books are from independent radical Black publishers Bogle-L’Ouverture, New Beacon Books, Institute of Race Relations and Hansib Publications. We will release an online anthology and research resource which will publish responses to the Huntley’s archive records from intergenerational contributors involved in the fight against racism. At close of the Timespan project, the library will be permanently housed at community-led Acklam Village, North Kensington London as a public community library. This project has been given steadfast support from the Friends of the Huntley Archives at LMA (FHALMA), the George Padmore Institute and The Institute of Race Relations. 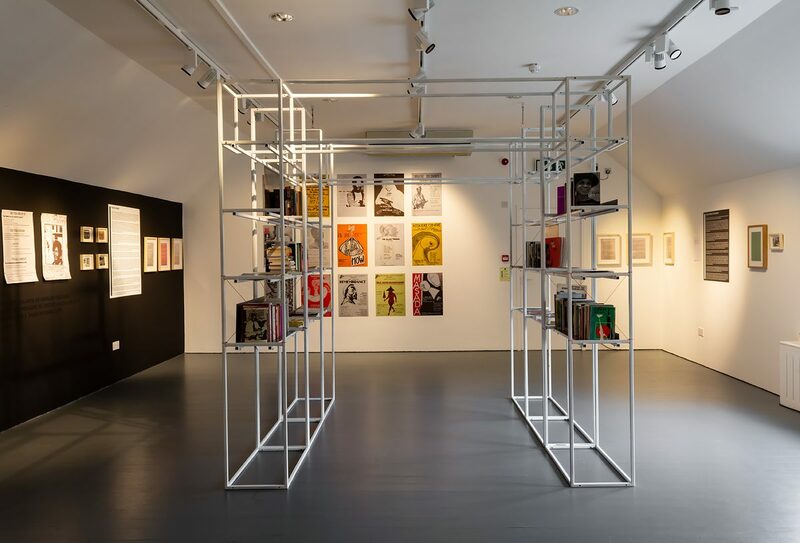 With special thanks to Eric Huntley, Beverley Mason, Colin Prescod, Maureen Roberts and the team behind FHALMA’s No Colour Bar 2015-2016 art and archive exhibition. 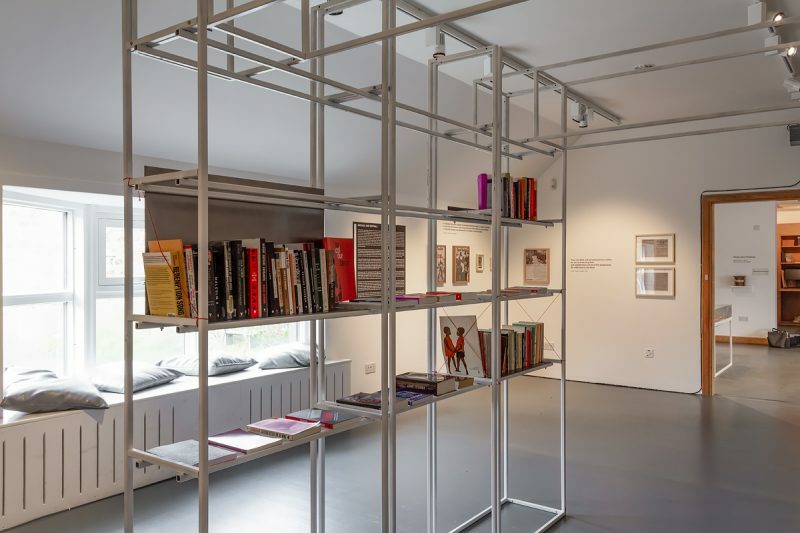 The flat-pack bookshop has been designed and manufactured by Glasgow architect practice Dress for the Weather. We received very generous book donations from Liverpool University Press, Carole Boyce Davies, New Beacon Books, Institute of Race Relations and Haymarket Books. Hansib Publications, Pluto Press, Verso Books and Zed Books provided some of the library’s publications and generously gave us a discount. The project team is Teju Adeleye (George Padmore Institute), Naima Hassan, Daniel Renwick (Institute of Race Relations) and Sadie Young.